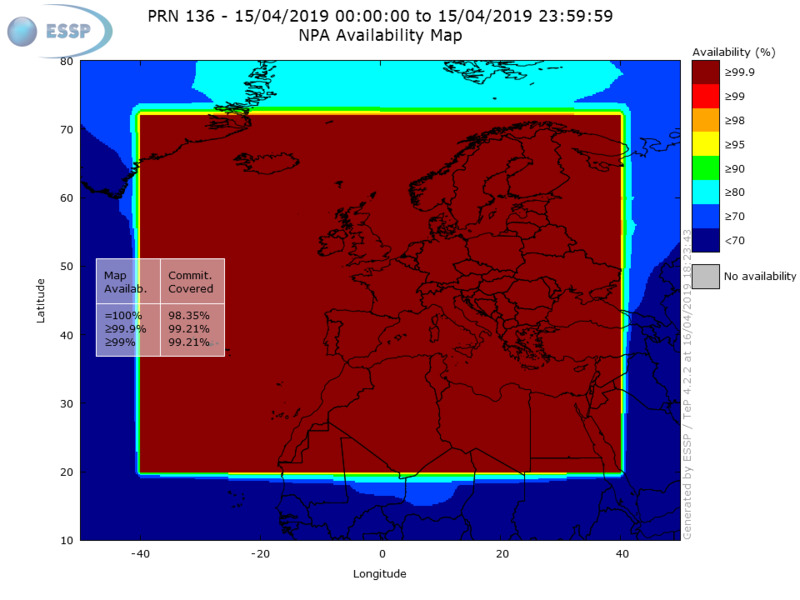 EGNOS NPA Availability is defined as the percentage of samples in which the Horizontal Protection Level is below Alert Limit for NPA (HPL below 556m) over the total period. The figures present the daily EGNOS NPA Availability for the operational GEO satellites and their combination. Please, select a date in the calendar field to see the EGNOS APV-I Availability for such date.